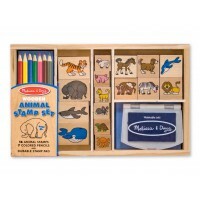 The Melissa and Doug Baby Farm Animal Stamp Set is yet another fabulous stamp set for children who enjoy arts and crafts. 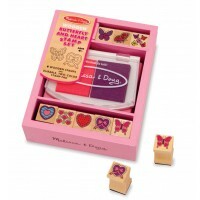 This clever set is supplied in a smart wooden case and contains eight baby animal stamps – calf, piglet, lamb, rabbit, duckling, kid goat, foal and chick – and four very colourful ink stamps. 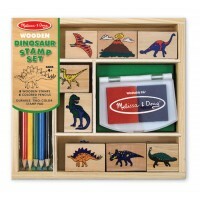 This great value set is perfect for rainy days and afternoons indoors. 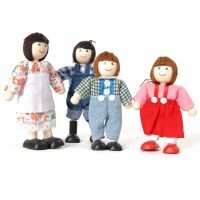 All inks are non toxic, washable and long lasting and the set conforms to ASTM D-4236. 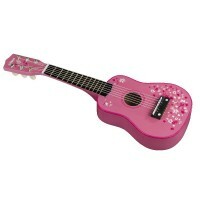 Dimensions: 2.5cm x 15.2cm x 12.4cm.